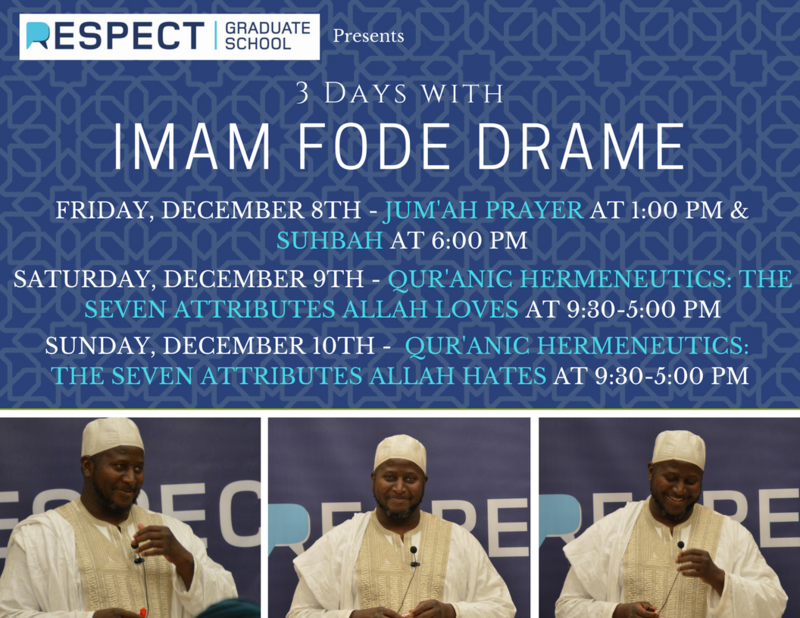 Respect Graduate School is pleased to announce this special three days of spiritually invigorating events with Imam Fode Drame. First, join us in on Friday, December 8 from 1:00-2:00 pm at RGS’ beautiful Masjid as Imam Fode leads Jum’ah Prayer and then a Suhbah at 6:00 pm. Then on Saturday, December 9 and Sunday, December 10, join us as Imam Fode Drame leads an all-day retreat where he will be discussing Qur’anic Hermeneutics: The Seven Attributes of Humans That Allah Loves, and The Seven Attributes That Allah Hates. Saturday and Sunday events are $45 or $80 for both days. All of these events are open to the public, so don’t miss out! Bio: Imam Fode Drame was born in the Senegambia region of West Africa. He descends from the clan of Jakhanke whose unique expression of Islam dates back over 1,100 years. Since arriving in Canada in the 1990s, Imam Fode Drame has continued in the tradition of the Jakhanke imams by serving as a community leader and scholar of Islam, however he has also been an extraordinary teacher of Quranic exegesis, a guide for spiritual development or ‘tasawwuf’, and a healer to all those who seek his support. Additionally, Imam Fode has authored a series of books titled “Expansions” of which he has currently published five volumes. He has also published a unique translation of the Quran, called Anwar ul-Quran. In 2005, Imam Fode founded Zawiyah Foundation, a non-profit charitable organization dedicated to his vision for humanity. Zawiyah Foundation has been at the forefront of a number of community development and support initiatives since its inception; through Zawiyah, Imam Fode has been pioneering the Islamic participation in interfaith dialogue in Vancouver and continues to lead his Foundation through the hosting of yearly interfaith dialogue events. Among charitable endeavors, Zawiyah Foundation initiated the Hastings Project, a program which aims to provide warm meals to those in need in one of Canada’s poorest neighborhood, the Vancouver Downtown East Side. 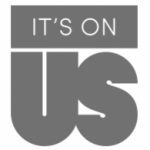 Please fill out the event registration form to register for the event. We also offer childcare and live-stream options. For logistics reasons, please inform us no later than December 5th. Childcare: $20 per day. Please fill out the event registration form to register for the event and include childcare needs. Livestream: $25. Fill out this form to register for the live-stream. Copyright © Respect Graduate School. All Rights Reserved.